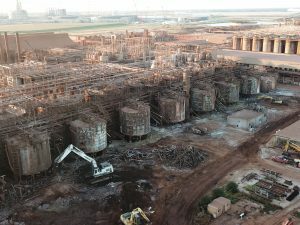 Glencore Holdings through it’s subsidiary Corpus Christi Alumina, LLC hired Frontier Industrial Corp to decommission and demolish their Gregory, TX facility which was formerly owned and operated by Sherwin Alumina Company, LLC (“SAC”). The facility produced (smelter grade) aluminum oxide or alumina. The SAC was founded in 1953 and was based in Gregory, Texas. 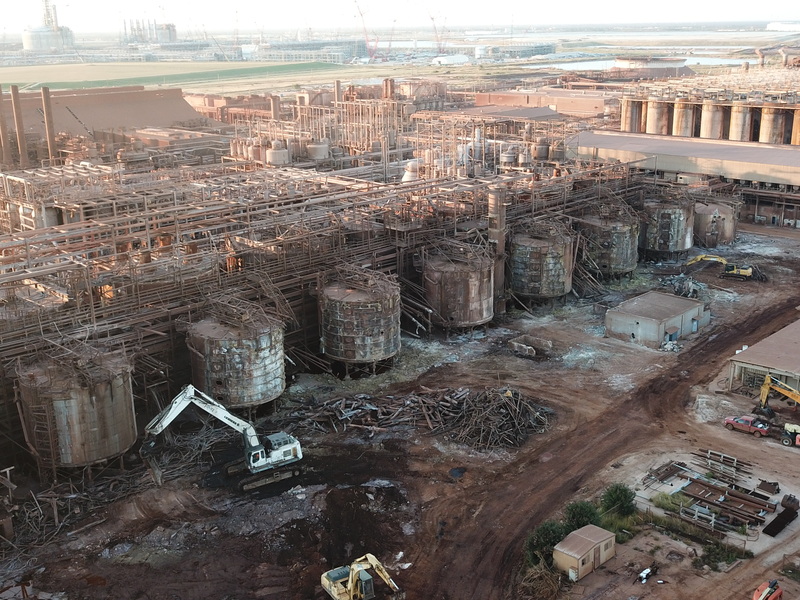 SAC operated as a subsidiary of Allied Alumina, LLC. 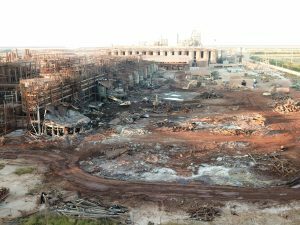 The environmental remediation, decommissioning, asset recovery and demolition work is expected to be completed in 20 months. 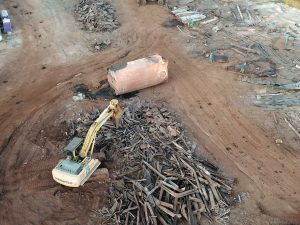 Frontier will utilize barges to ship scrap metals generated during the demolition phase to steel makers in different parts of the country. No matter the size of the job, big or small, workplace safety is always our number one priority.